Lumsden Corporation - Manufacturer of Flexx Flow, Wire Belts, Belting, Enrober Belts, Metal Belts, and much more! 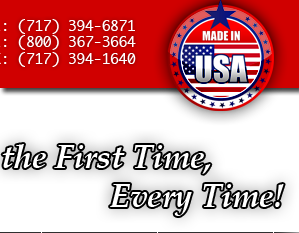 Lumsden Belting has been manufacturing metal conveyor belts in Lancaster, Pennsylvania for over 45 years. Our Wiremation and Lumsden Flexx Flow operations provide high quality belting for a broad list of industries such as food processing, electronics, heat-treating, steel, and glass. Lumsden has become one of the largest producers of metal belting because we deliver the highest quality products, along with unsurpassed customer service, at a competitive price.